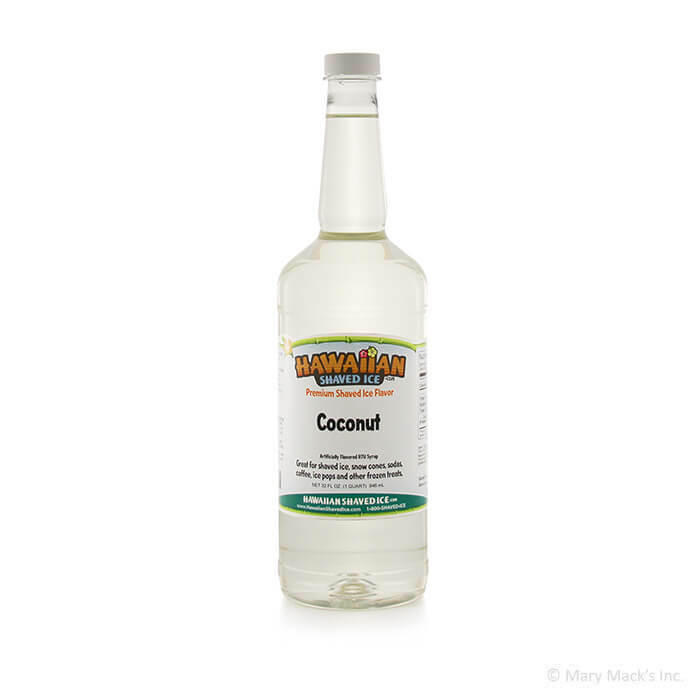 For the rich, creamy taste of real coconut, you can�t beat coconut snow cone syrup from Hawaiian Shaved Ice. This incredible shaved ice syrup has authentic coconut flavor that none of the competitors can match. 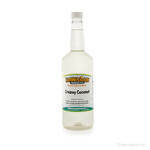 Drizzle this deliciously sweet and creamy coconut snow cone syrup over your next batch of shaved ice. Coconut flavors will burst into your mouth with every single bite. The decadent coconut flavor and scent makes it the perfect treat for a hot summer day. 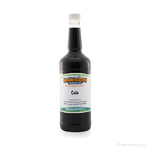 This snow cone syrup coconut flavoring can also be a great dessert option for any island-themed party or event. 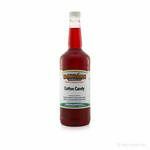 Hawaiian Shaved Ice syrup coconut snow cone flavoring is the best choice for getting that wonderful tropical flavor in your next batch of snow cones. 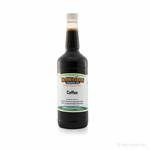 Enjoy this ready-to-use snow cone syrup coconut flavoring alone or mixed with other tasty flavors like pineapple or chocolate. You and your guests can make your own unique creations based on how much coconut flavoring you like and whether you want to mix it with other tasty Hawaiian Shaved Ice flavors. Available in quart size, gallon size, or as part of a multi-flavor pack.